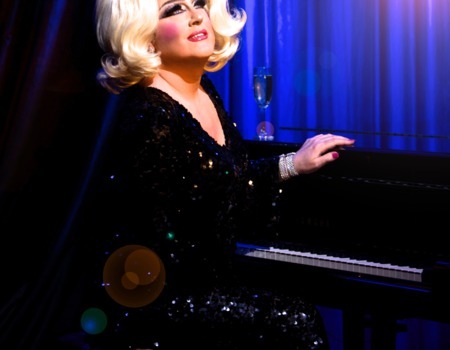 Bringing you her award-winning all-original repertoire of cheery cha cha chas, heartwarming torch songs and finger snapping pop, Miss Hope Springs serves up scandalous showbiz revelations with a sequinned frosting of Vegas glitz. With fans as diverse as Julian Clary, Jarvis Cocker, Marc Almond, Rula Lenska and Jonathan Ross, this is a hugely enjoyable evening packed with songs you'll find difficult to get out of your head such as 'Santa is a Woman', 'Paper Snow', 'Icicles' and many more…As well as some of your firm Miss Hope faves. Chosen by the Evening Standard as one of the Best Ways to Party in London over the festive period, for those of you with something else to do on Dec 31st, the ex Vegas blonde bombshell gives you a chance to let your hair down in seasonal style a few days before the real thing, countdown and all, in her 4th sensational "Faux New Years Eve Soiree'" at Crazy Coqs. There's no better place to spend the Sunday before new years eve!